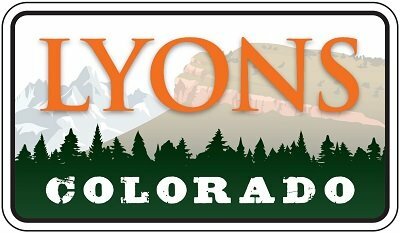 As part of its ongoing efforts to promote sustainability, the Town of Lyons is excited to provide updates on a few moving pieces. In partnership with Namaste Solar, Boulder County is once again offering discounted solar installations for County residents. The program offers baseline pricing at $2.73/watt (for systems between 6.0 – 9.99kW), as well as financing options (1.99% interest, 12 year solar loans). Check out their website to see if you qualify for a no-cost, no-obligation site evaluation, to determine if your home is suitable for solar. In addition to discounted solar, Boulder County has struck a deal with Nissan, to provide discounts on Electric Vehicles. Details about this will be released in April. The Town recently won two separate grants from the Regional Air Quality Council and Boulder County Economic Development Program, for an Electric Vehicle Charging Station. The station will be located near the Visitors Center. It will serve residents, as well as encourage visitors to spend time in town, while they top off their electric vehicles. For more information on these or any of the Town's sustainability efforts, please contact Sustainability Coordinator, Toby Russell. The Town's contractor is preparing to install the US-36/Stone Canyon traffic signal. Remediation and demolitions will continue on buyout properties, for the next few weeks. As the properties are cleared, grading and seeding will begin immediately after.